LIN3 Series is the tiny Super-LED module with a big attitude. 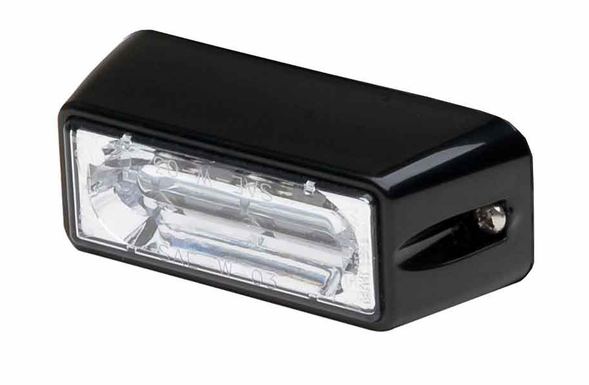 Encapsulated, low current LED’s are tough as nails so they’ll go to work for you anywhere on your vehicle, shrugging off moisture and road vibration. Perfect for mounting in the grille, on side mirrors, on bumpers, over steps, on motorcycle boxes and fairing, on ATV’s, forklifts and material-handling vehicles ... Wherever high intensity, wide angle warning is required. LIN3 produces wide angle lighting suitable for horizontal mounting. Clear outer lens and black flange - Blue LED.